You can purchase reprint editions of this book from the Tioga County Historical Society. Embracing Its Topographical And Geological Features; Indians and White Explorers; Beginning and Organization; Pioneers and Early Settlement; Early Courts and Cases; Internal Improvements; Industrial Development; Coal Mines and Mining; Public Buildings and Officials; Legal and Medical Professions; Military History; Literature; Sketches of Boroughs, Townships and Villages; Material, Social, Educational and Religious Progress; Biographies and Portraits of Pioneers and Representative Citizens,Etc,Etc,Etc. More than one hundred years have passed away since the first white settlers built their cabins along the Cowanesque and Tioga rivers and commenced laying the corner stone of American civilization within the confines of what is now Tioga county. The Indian occupants had been pushed back farther into the wilderness by the advancing tide of progress, and in their place came the hardy, resolute, intelligent pioneers whose descendants now occupy the land. Several generations have come and gone since these events occurred, and the historian of to-day finds a difficult task to unravel the story and harmonize the many conflicting accounts that tradition has handed down from one generation to another. In writing a history of Tioga county it has been our aim to preserve, as far as possible, a chronological order. Its topographical and geological features come first, followed by a sketch of the Indians whose numerous camping sites, paths and villages prove that " The Land of Tioga" was a favorite dwelling place and hunting ground. The Caucasian race came next, holding aloft the torch of civilization- the founders of communities in which the church and the school followed in the wake of the cabin home. With the gradual settlement of the country came the erection of the county, the establishment if a county seat, civil organization and courts of justice. 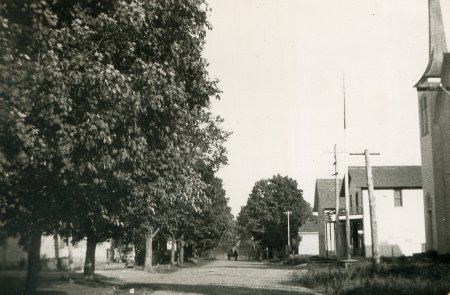 The early construction of roads, the improvement of waterways and the building of railroads furnished transportation for the product of the farm, mill and the mine, thus keeping pace with the industrial development of the county. The official history of the county has been carefully compiled, and the names of her citizens who have filled public office in the Nation, the State and the county have thus been preserved. The legal and medical professions; the pioneer fathers who served in the Revolution and War of 1812; a roster of Tioga’s sons who went out to defend the flag during the dark days of civil strife; the " Literature of Tioga" and the creation and growth of townships, boroughs, and villages all find appropriate mention in the pages of this work. The labor involved in this undertaking required the examination of state, county, borough and township records; the careful perusal of books, pamphlets, newspaper files, old family documents, deeds and letters and the personal interviewing of local authorities in every part of the county. To John F. Meginness, Esq., of Williamsport, the veteran historian of the West Branch valley, was intrusted the first twenty- two chapters of the book, and he spent over a year in their compilation. The remaining thirty-six chapters embraced in the general history ,were compiled by Mr. John Meagher, an experienced and pains-taking writer, with the exception of Chapter XLIV, contributed by Rev. David Craft, of Lawrenceville. The chapter on " Coal Mines and Mining" was also written by Mr. Meagher, and the whole work was compared, revised and edited under the personal supervision of the senior member of the firm, who has had a wide experience in this line of historical effort. 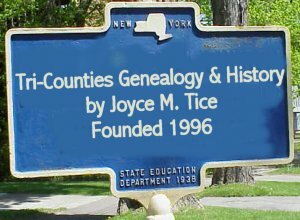 One of the most valuable and important portions of the book is that is devoted to personal and family biography, wherein is preserved a vast fund of information relating to the people of Tioga county. The data for these biographies were obtained from families and individuals by our solicitors , and in every case a type-written copy was submitted for correction before publication. Should errors, therefore, be found in any of them, the responsibility rests upon those who furnished the data, or who neglected to correct the errors when the sketch was submitted. In the preparation of this volume, we received aid from so many sources that it would be impossible to give the names of all in the preface. But the following list embraces those to whose kindly advise and assistance we are most indebted: William Bache, Esq., Hon. Henry W. Williams, Hon. John I. Mitchell, Walter Sherwood, Esq., Maj. George W. Merrick, Hon. Jerome B. Niles, Gen. Robert C. Cox, Anton Hardt, Esq., and Alexander S. Brewster, Esq., of Wellsboro; Daniel Holiday, Esq., of Holidaytown; Hon. Charles Tubbs of Osceola; Dr. James Masten, of Westfield; S.P. Chase,Esq., of Brookfield; Rueben Morse, Esq., of Chatham; Chares Beebe, Esq., of Lawrenceville; Dr. Robert B. Smith, and R.P.H. McAllister, Esq., of Tioga; John A. Holden, Esq.,Hon. Andrew Sherwood, Col. N.A. Elliott, and the late William Adams, of Mansfield; Elliott S. Rose, Esq., of Sullivan; E.R. Maine, Esq., of Mainesburg; John L. Sexton, Esq., of Blossburg; W.S. Nearing, Esq., of Morris Run; Dr. Z.E. Kimble, of Liberty; Enoch Blackwell, Esq., of Blackwell, and D.A. Paddock, Esq., of Gaines. We also gladly acknowledge our indebtedness to the press for the use of newspaper files and words of encouragement; to county, borough and township officials for their uniform courtesy; to the descendents of the pioneers; to pastors and officers of churches and societies; to professional and business men in every part of the county, and to all who have in anyway contributed to the success of our enterprise. We undertook the publication of this history after consulting many of the leading citizens of Tioga county, and we have spared neither time nor labor nor money to make it an authentic and reliable source of information-- a standard authority on the settlement, growth and development of this section of Pennsylvania. Firm in the belief that we have more than fulfilled every promise made in our prospectus await the approbation of every honest patron. The Publishers. Chapter I Topographical and Geological Feature. Chapter II The Land of Tioga.